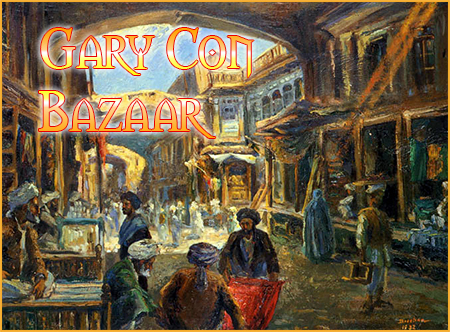 Lloyd & Mike are working diligently to reopen the bazaar and take inventory of what’s available form past cons and general swag and merchandise. While we work through numbers and shipping logistics items will slowly emerge as they filter through what is on hand. Almost all of these items are limited edition, print, and collectible. Most are also ONLY available through Gary Con. Get your swag while it lasts, once it’s gone, it won’t be back.